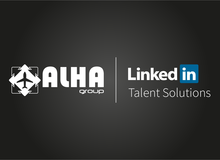 Since May 2018, Alha Group has adopted LinkedIn recruitment and talent research solutions. All job offers are posted through LinkedIn. All curricula are searched, selected and evaluated exclusively through LinkedIn (it is therefore no longer possible to submit your CV through traditional channels such as e-mail, fax or hand delivery). The 101th edition of the iconic bike race Giro d'Italia will take place from May 4th to 27th, with an extraordinary start outside the Italian borders and, for the first time in history, outside Europe: the first stage is an individual time trial starting from Jerusalem. 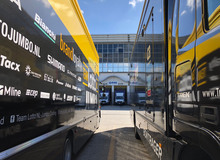 Sonigo International Shipping has appointed Vector and Alha as the Italian partners for this big and complex operation: on Monday April 30th, Alha and Vector took care of the operations for the cargo flight departed from Milan Malpensa during the night between April 30th and May 1st; the Boeing 747-8 operated by CargoLogicAir brought to Israel 1.263 pieces including the bicycles and the professional equipment of all the competing teams. 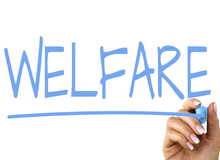 April 18th, 2018: Alha and the Unions FILT CGIL, FIT CISL, UILT UIL, UGL TA, FLAI TS and USB LP have signed a new company welfare agreement in Milan Malpensa. 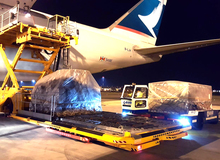 Alha Group announces the launch of a multi-year contract with Cathay Pacific Airways in Milan Malpensa for the provision of ramp handling services for all-cargo aircrafts. 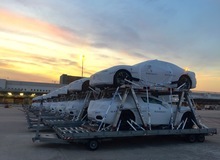 On October 10th, a special load of 28 Maserati supercars - organized by Agility Logistics - took off on board an AirBridge Cargo B747-400. 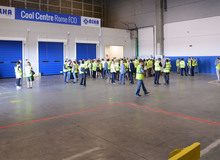 Alha inaugurated a brand new Cargo Terminal in Rome Fiumicino: a completely renovated warehouse to meet the highest quality standards. On May 19th, in 1997 Alha Group started operations in Milan #Malpensa: in 2017 we celebrate 20 intense, challenging and successful years in MXP, sharing this very important anniversary with all our team, our Customers and all our partners. 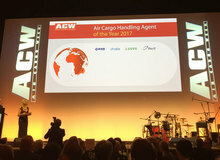 For the third year Alha ranked among the top 4 Cargo Handling Agents worldwide. 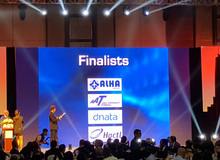 Alha Group ranked among the top 4 best GHAs worldwide at the World Air Cargo Awards 2016, held during the Air Cargo China tradeshow in Shanghai. 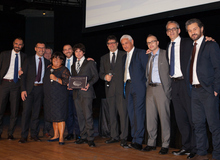 Seventh success for Alha Group at the ANAMA Quality Awards Ceremony in Milan. Alha XML Project Manager took part as a speaker and panelist at the Cargo-XML workshop, held in Miami last 30th October. In September 2014 Alha Group will host the 6th Air Cargo Handling Conference in Milan. 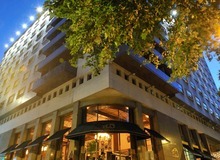 ACHC 2014 will be held in the Sheraton Milan Malpensa Hotel and Conference Centre from the 17th to the 19th. 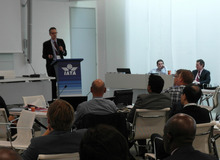 During the Third Edition of the IATA eCargo Conference in Geneva (24-26June), Mr. Alessandro Rivolta - Alha XML Project Manager - was invited to present the last updates about the Cargo XML Implementation Experience at Alha Cargo Terminal in MXP. For the fifth time in six years, and for the year in a row, Alha has been awarded Best Handling Agent in Italy: this achievement confirms the long-lasting commitment of the entire group towards growth, improvement and innovation and makes us all feel proud and honored to be part of such a successful team. 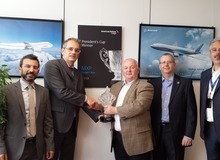 American Airlines has awarded Alha with the President's Cup, as MXP has achieved the highest Cargo Terminal Performance Worldwide (99.7%) and the best overall performance in Europe/Asia. 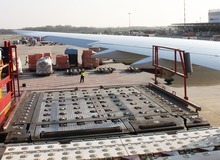 Geneva – The International Air Transport Association (IATA) released data for global air freight markets in February showing a 2.9% increase in demand compared to February 2013. The first two months of 2014 have seen an overall 3.6% improvement in demand over the previous year. This continues the strengthening in cargo markets which began in the second half of 2013. 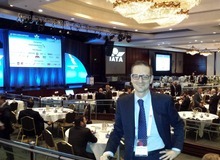 Mr. Alessandro Rivolta, Alha Project Manager XML in Milan Malpensa, has presented the XML implementation experience during the 8th IATA World Cargo Symposium in Los Angeles, CA. 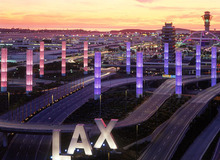 The eighth edition of the World Cargo Symposium (WCS) will be held from March 11 to 13 in Los Angeles, hosted by American Airlines. IATA Acceptance Checklist Requirements for Time and Temperature Sensitive Healthcare Shipments becomes mandatory, effective January 1st, 2014, as the six months transitional period has expired on December 31st, 2013. 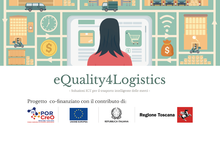 On thursday, the 19th of December, Regione Lombardia, SEA, Assohandlers and ANAMA have officially endorsed the implementation of the new cargo community system at Malpensa Airport. 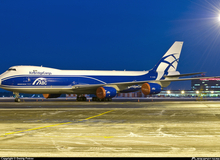 AirBridgeCargo Airlines, Russia’s largest international cargo airline and a part of Volga-Dnepr Group, has increased its flights from Milan Malpensa from three to five frequencies per week. In October 2013 Alha has taken part to the 11th GDP & Temperature Management Logistics in Chicago, the largest global event in the cold chain industry. 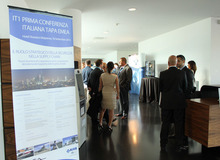 For the second year Alha has sponsored the Air Cargo Handling Conference in Lisbon. 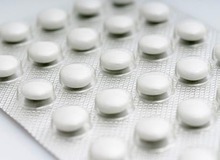 The theme of the Lisbon conference has focused on ‘The Pharma Cool Logistics Supply Chain’ - with a review of best practice from different supply chain modalities speaking about what the air and sea freight sector can learn from them. 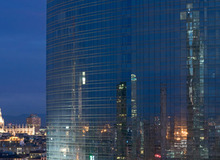 We are pleased to announce that, on September 18th, Alha Group will host the First TAPA EMEA Regional Conference Italy. 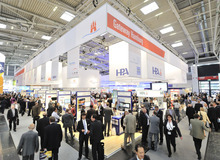 Alha has attended the 6th Air Cargo Europe Exhibition and Conference held on June 4-7 in Munich. 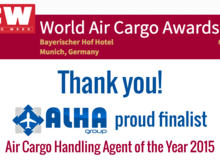 Air Cargo Europe takes place in Munich every two years since 2003 and Alha is attending the show as a permanent exhibitor since that date. The World Cargo Symposium is the most important cargo industry event on a global scale, attracting 600+ representatives from the entire supply chain and delegates from all around the world. 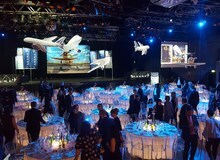 It is organized by IATA every year in March since 2007. 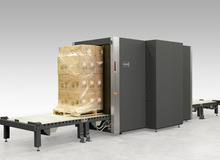 Thanks to new screening devices and improved security services available both at online and offline Terminals, Alha provides the strongest Cargo Security Network for Air Cargo Shipments in Italy. 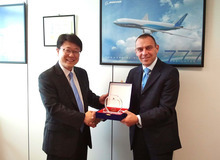 Alha MXP has been awarded by Korean Air as MXP has been recognized third worldwide on-time operations station. 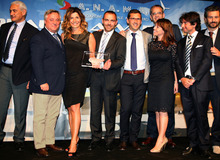 During the annual Quality Award Gala held by ANAMA, Alha Group has been awarded Best Handling Agent in Italy.